The cherry blossoms may be on their way, but there’s still time to grab a delicious hot chocolate in the District. There are numerous articles online that list top hot chocolate spots in DC, but none of them match up with this list! Buttercream Bakeshop‘s Hazelnut Praline Hot Chocolate — If you haven’t been to Buttercream Bakeshop, first of all, do yourself a favor, please go. It’s one of Time Cupsoul’s favorite bakeries in all of DC (try a Queen Bee or a unicorn bar or a muffin) and this particular hot chocolate is absolutely unbelievable; it’s like drinking a Ferrero Rocher. Hazelnut heaven. 1250 9th Street NW. The Royal‘s Spice Hot Chocolate — The Royal team is super creative, constantly innovating for holidays. Did you see their White Chocolate Latte for Valentine’s Day? Have you tried their Honey Bourbon Latte? Time Cupsoul is semi-obsessed with The Royal in general. There’s a mega crush going on here. Don’t miss their Spice Hot Cocoa that comes with brûléed marshmallows and yes, jalapeño. You’ll feel like you’re in a scene of Chocolat. 501 Florida Avenue NW. Dolcezza‘s Askinosie Hot Chocolate — When you need a classic hot chocolate fix, this is your go-to. Journey to one of Dolcezza’s DC locations and cozy up to the Askinosie hot cocoa; it’s bright and full-bodied and has natural notes of spice and caramel. Dolcezza just knows what she’s doing, gelato, chocolate and all. Various locations. Bourbon Coffee‘s Hot Chocolate — Another perfect location for a classic hot chocolate fix. Bourbon has a few different hot chocolate recipes for you to try. One of Time Cupsoul’s favorite coffee locales in DC, give their cocoa a chance! Various locations. Little Red Fox‘s Hot Cocoa — This little gem of a shop uses DC’s own Harper Macaw chocolate in their hot cocoa. Go to Little Red Fox (or The Den) on a weekend to enjoy the ambiance and be sure to pick up some of the market and food items. 5035 Connecticut Avenue NW. RareSweets‘ Hot Cocoa with Marshmallows — This small shop in City Center is the perfect pit stop for a warm hot cocoa on a romantic walk through the Center’s avenue. Pick up a cookie while you’re there, too! 963 Palmer Alley NW. Cafe Chocolat‘s Hot (Milk) Chocolate — The new kid on the block has some great hot chocolate offerings to keep you cozy as winter melts into spring. Be sure to pick up one of the many craft chocolate bars that the shop has for sale while you’re in town. Cafe Chocolat also has a new iced hot chocolate — hello, springtime! 1423 H Street NW. Emissary‘s Hot Chocolate — Time Cupsoul seriously can’t believe that more folks aren’t talking about Emissary’s coffee (roaster: Counter Culture, same as The Royal), and not to mention food! Give not only Emissary’s hot cocoa a try, but literally everything else. And yes, they have avocado toast that’s Instagram-worthy. The dining area is also unique; you will find a lively energy to inevitably boost your day. A great option. 2032 P Street NW. The Coupe/Tryst/Open City‘s Lavender Hot Chocolate — This hot chocolate is for the more adventurous, fantastical type. 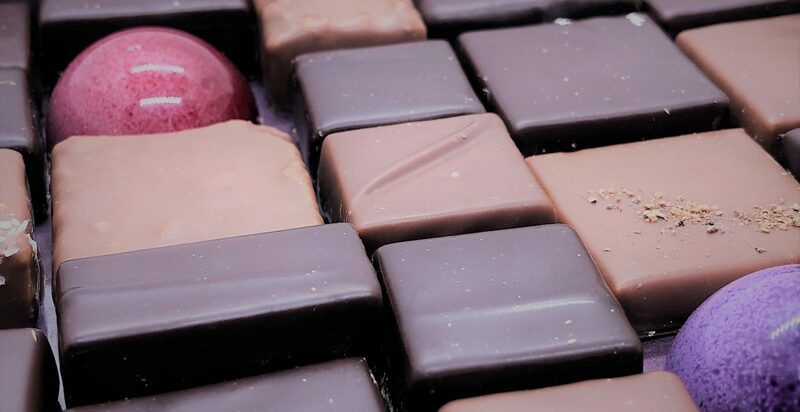 Who knew that lavender could taste so good with chocolate? This drink is unique and it will simultaneously trial and test your taste buds while also calming your mind. Try it out. Time Cupsoul loves this restaurant group! Various locations (The Coupe, Tryst, Open City). Colada Shop‘s Chocolate de la Abuela & Churros con Chocolate — The atmosphere at Colada shop is simply unbeatable. The Latin music and Cuban charm will get your blood pumping. Enjoy their thick drinking chocolate with some freshly baked cinnamon churros. Colada also offers hot cocoa de la abuela/grandma’s hot chocolate (“classic Cuban hot chocolate”) that’s delicious. You can’t go wrong. ¡Viva el chocolate! 1405 T Street NW. Bonus: Pineapple and Pearls‘ hot chocolate — another delectable option to warm your spirit! Which hot chocolate on the list is your favorite? What did we miss? Please comment below. Happy sipping! Previous [Early Valentine’s Day Edition] Time Cupsoul Tuesday Tune!